The rhythmic sound of wheels hitting rail is loud, but strangely soothing. 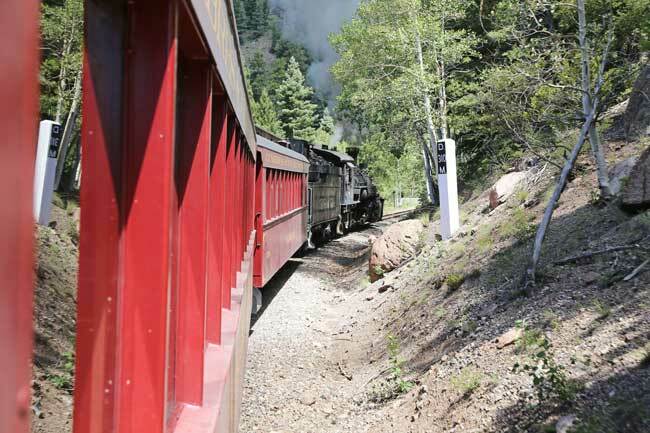 We’re aboard the Cumbres & Toltec Scenic Railroad, and the route has taken us across open prairie and up into the San Juan Mountains of Colorado. We’re nearing Cumbres Pass, the highest mountain pass reached by rail in the United States, and the historic steam engine must work hard. 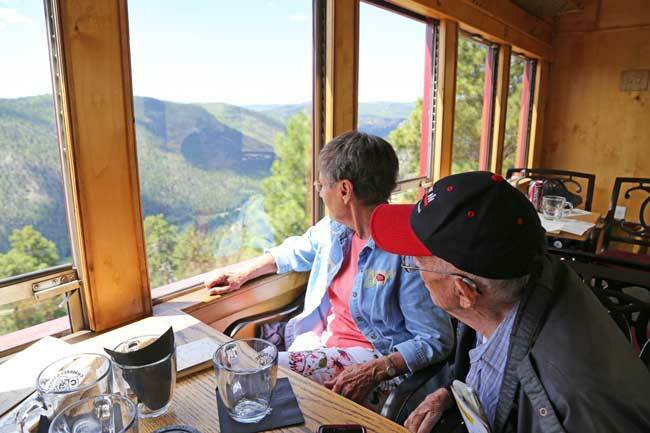 My parents, who have joined my husband and me on the journey, want to see the view from the pass, so we make our way to the outdoor observation car. Walking through a moving train is never easy, but we take our time. Passing through the Victorian style cars of the Cumbres & Toltec is like walking through the past. The cars have been beautifully restored to their original look, and listening to the whistle of the steam engine, you can almost imagine what it was like back then. Built in 1890, this narrow-gauge railway once played an important role in the booming mining towns of the American West. The Denver & Rio Grande Western Railroad carried passengers – it even had a first-class parlor car – as well as needed supplies. Railroad access to this remote region of the country meant the opening of northern New Mexico and southwestern Colorado. 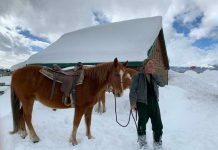 Ranches soon spread across the valley, and timber and other businesses took root. Those vibrant mining days eventually wound down, though, and demand for the railway declined. By 1969, the railroad had filed for abandonment. 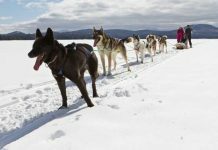 Fortunately, the states of Colorado and New Mexico saved the most scenic part of the route — a 64-mile track that runs from Chama, New Mexico to Antonito, Colorado. The route crosses the Colorado-New Mexico border in 11 different spots. The two states jointly purchased the track, along with steam locomotives and 130 freight and work cars. 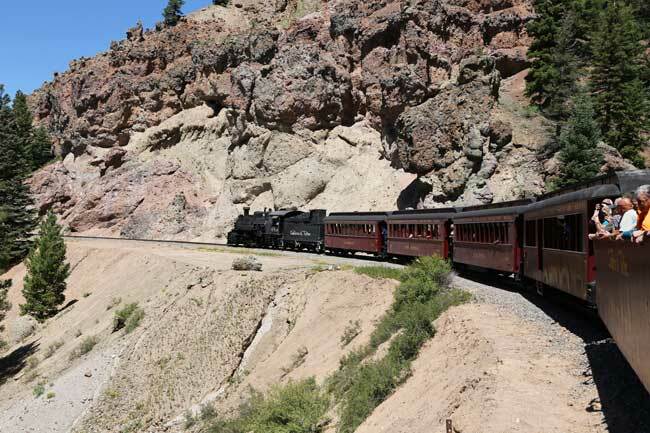 Today, the route has been designated a National and State Registered Historic Site, and is operated by the Cumbres & Toltec Scenic Railroad Commission. Riding the historic train, I’m grateful to those visionaries who saw the value in preserving the past. As we reach the outdoor car, the scenery gets even better. The vast Chama Valley spreads below us as the locomotive pulls toward the 10,015-ft. peak. We pass groves of aspen, and I can see for miles. As we near the summit, the train seems to hug a sheer rock face.